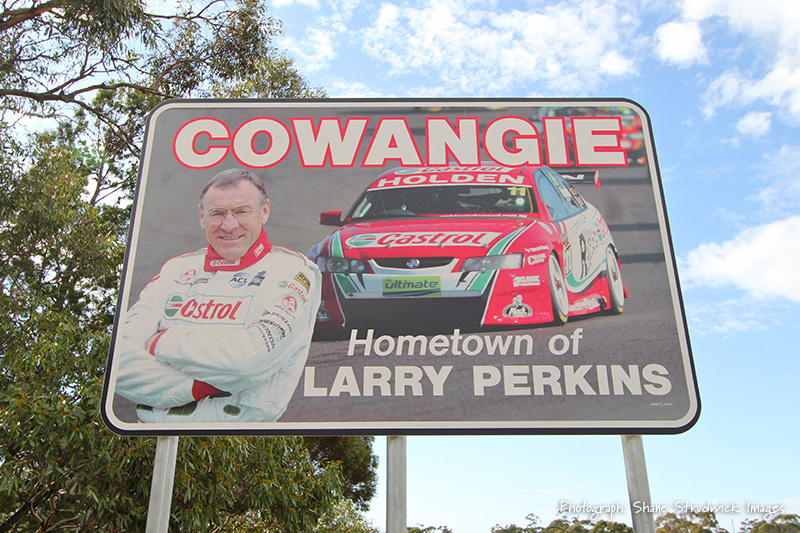 Cowangie is situated along the Mallee Highway 20km from Murrayville and 90k from Ouyen. The first buildings appeared along the main street, Dayman Street in 1912. 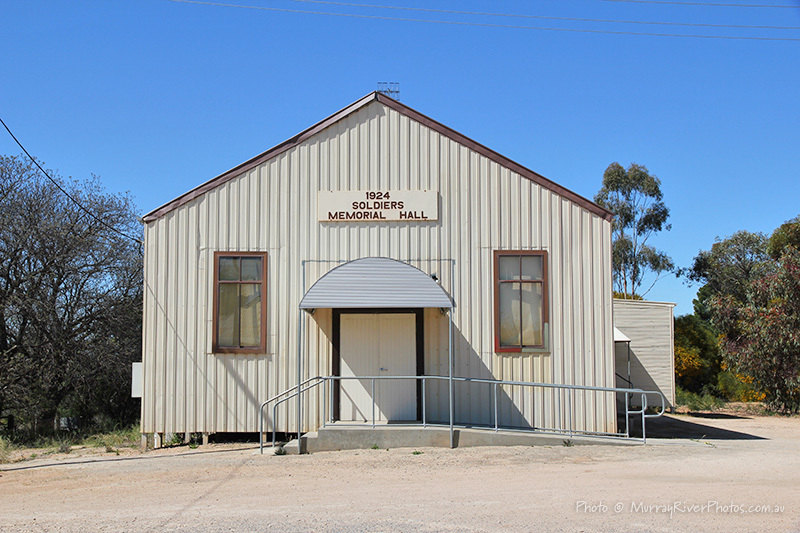 The layout of Cowangie with the railway line running parallel to the main street is typical of many Mallee towns which have since vanished. The buildings that remain in Dayman Street are the Bank, General Store, Bakers oven, Bush Nurse cottage and Church. 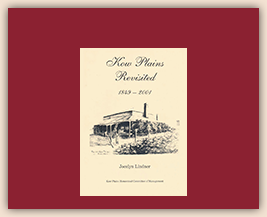 From the beginning of occupation of the Kow Plains Lease, there was controversy over the spelling of “Kow” or “Cow” Plains Some linguists substitute “K” for “C” in spelling aboriginal words. Cow or Kow simply means white and applies to the gypsum or “Copi” found in the area. 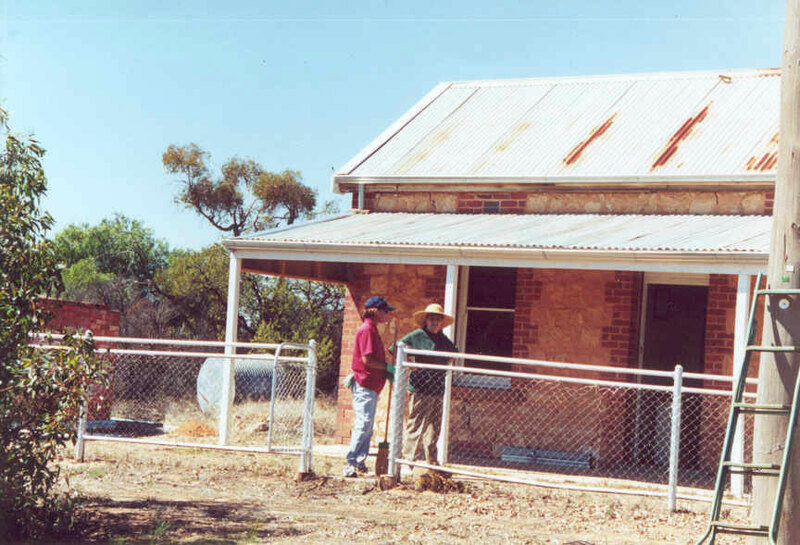 When the township of Cowangie was first established the Railway Standing Committee insisted in spelling it Kow Plains this remained the official name for some time, but some still spelt it Cow Plains, and for a short time the town was called “Copi”. 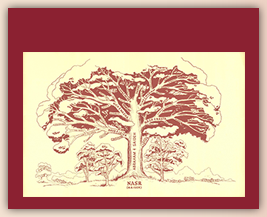 The lands department finally asserted itself and ignored the old name altogether. 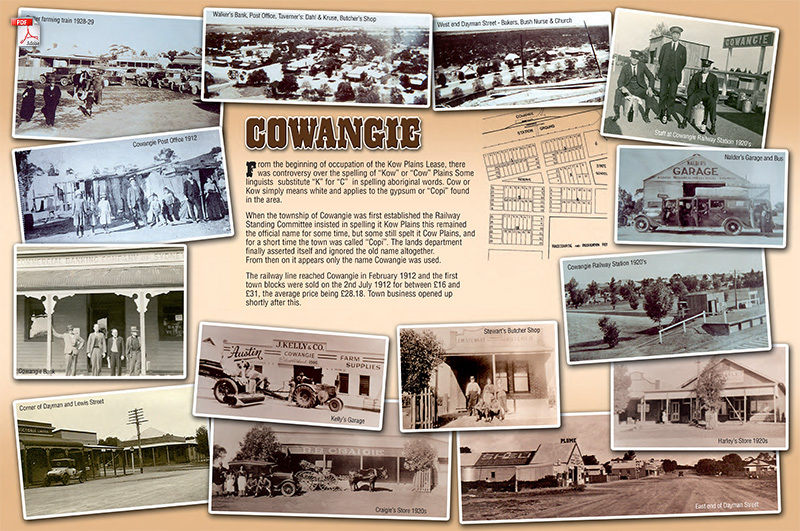 From then on it appears only the name Cowangie was used. The railway line reached Cowangie in February 1912 and the first town blocks were sold on the 2nd July 1912 for between £16 and £31, the average price being £28.18. Town business opened up shortly after this. 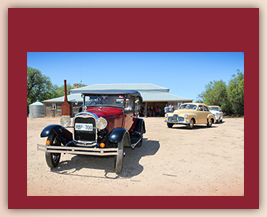 The preservation of buildings and historic sites in the town has the whole community involved. 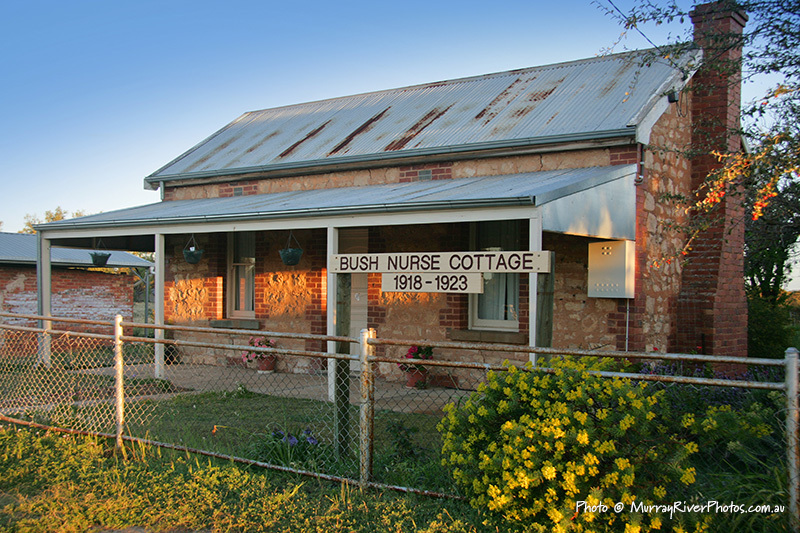 The Bush Nurse Cottage which was built in 1918 for the Bush Nurse who had been operating in the area since 1914, this cottage was used by the nurses until 1923 during this time she treated many patients at the cottage and visited many patients by horse and gig. 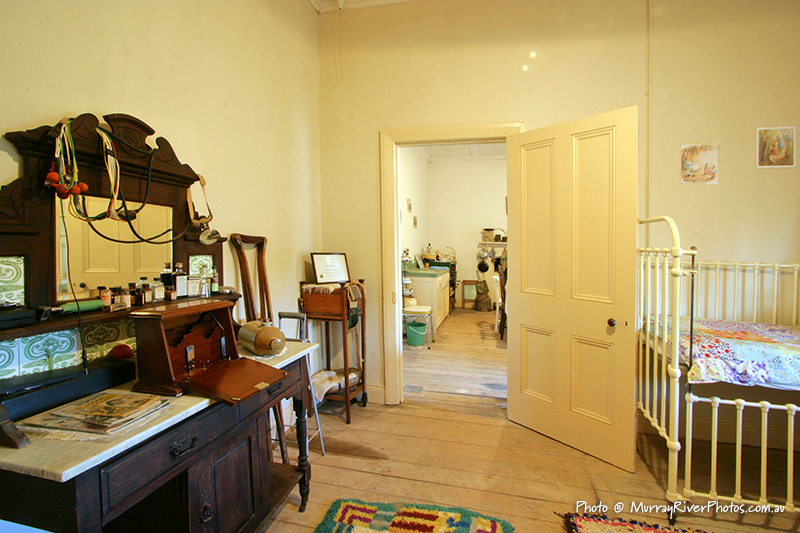 The cottage was restored and furnished and opened for the public on 20th October 2001. Since October 2001 a cottage garden has been established in the front, the old toilet has been put under a cedar tree and limestone stepping stones laid from it to the back door. External wood work has been painted in a cream believed to be similar to the colour originally used. 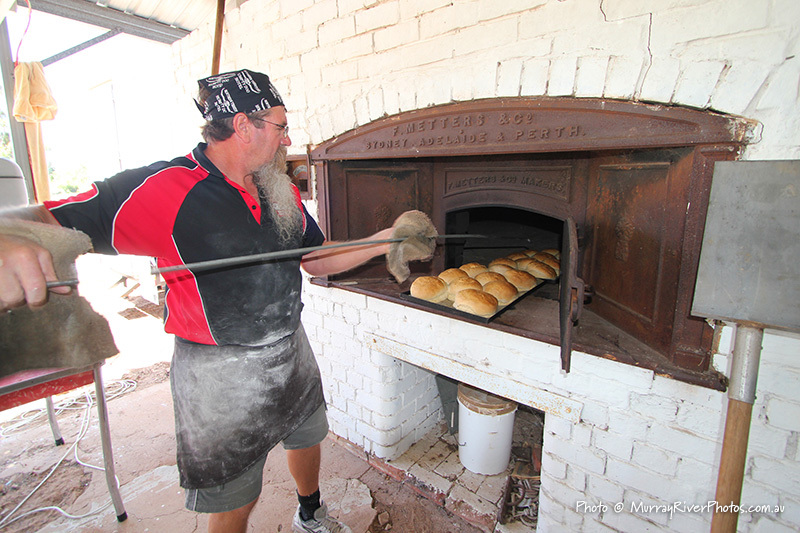 The Bakery operated from 1912 to 1952 and the large oven is all that remains of it. A cover has been built over the oven to protect it and repair work has been carried out. 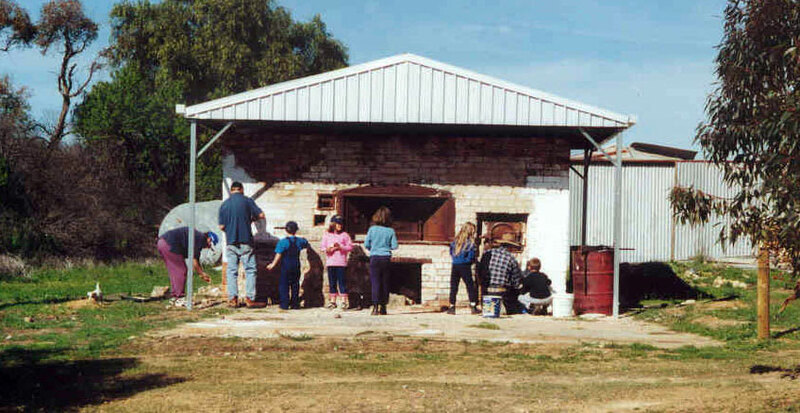 The oven was fired up a few days before the 20th October 2001and that evening scones and pizzas were served from it. Soldiers Memorial Hall 1924. The Hall is still in regular use today and features a pressed iron ceiling and stage surround. A glass cabinet to house memorabilia has been erected. Information boards and a picnic table is located in Dayman Street opposite the old Post office. Toilets are located at the hall.